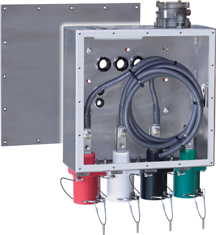 Stainless steel Junction Box equipped for 400HP TDS11 horizontal rotary table motor; bolt-on connections capable; XP” pressure switch; four (4) external quick disconnects; stainless steel construction (painted for an extra cost). 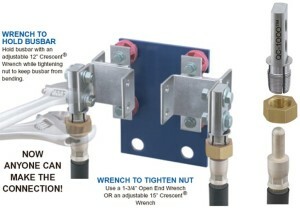 NOTE: Mild steel construction available for reduced cost. Mild steel construction available for a reduced cost.